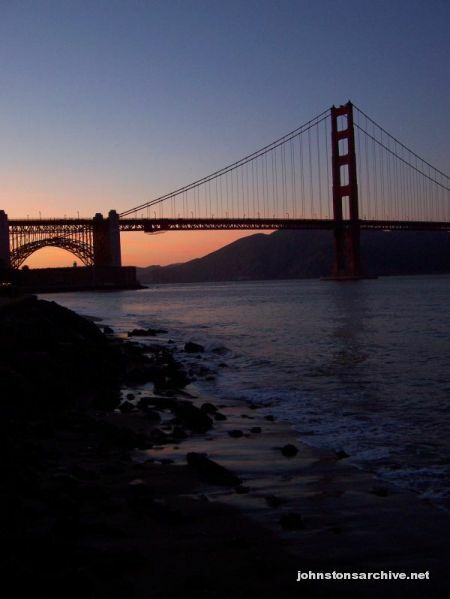 Golden Gate Bridge, from the beach in Golden Gate National Recreation Area, along the bay between downtown San Francisco and the south end of the bridge. 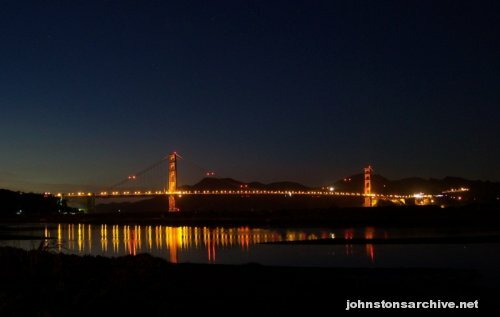 Golden Gate Bridge at night. The bridge is 2.7 km long, with the middle span 1.3 km, 67 meters above the water below.